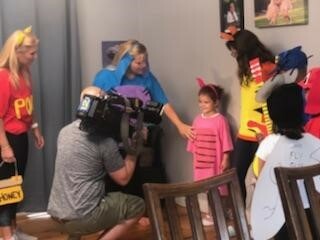 It is so much fun creating your own costumes. 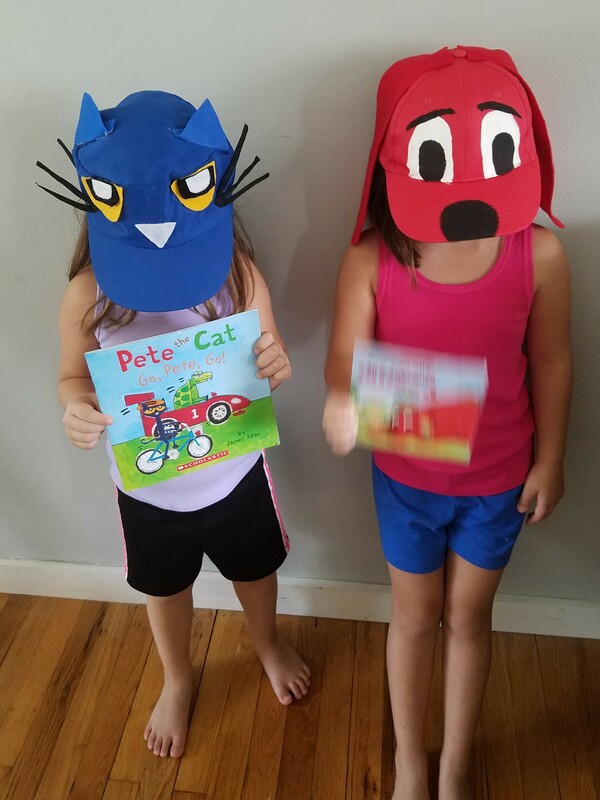 It is more fun when you can turn into one of the beloved characters in one of your favorite storybooks. 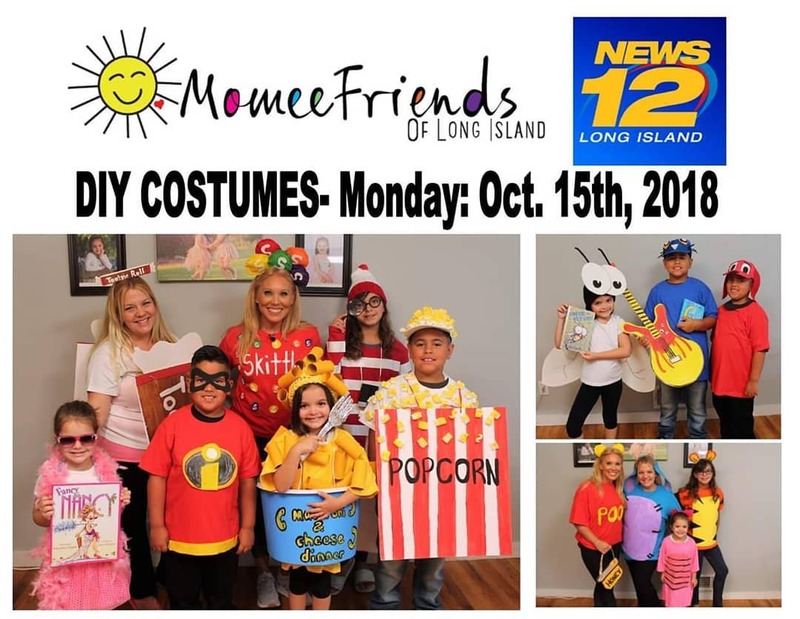 We have teamed up with local Momee Friend, Elizabeth Hashagen to show you how to get crafty and make some great costumes without spending lots of money to make them. 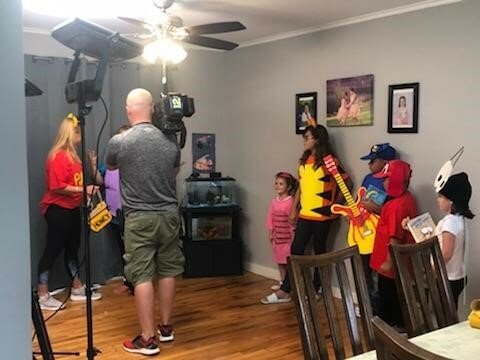 Check out the Fall Fun segment on News 12 this morning. My girls and I love to read the books that are available through the Scholastic flyers you get at school. 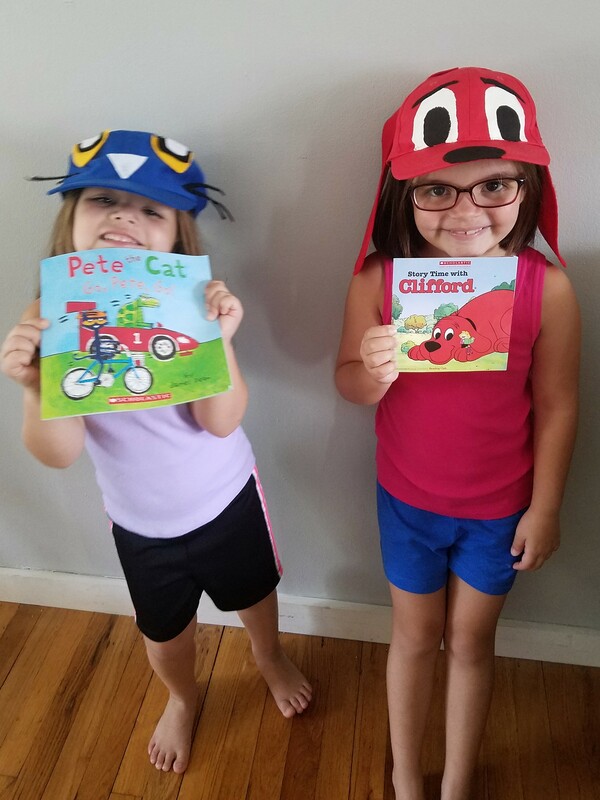 We love Fly Guy, Clifford and of course Pete the Cat. 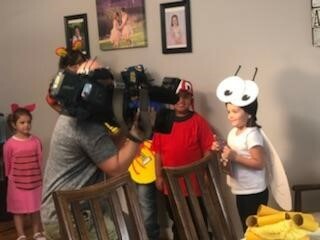 We thought it would be so fun to dress as these fun characters and make costumes that a boy or girl would love to wear. A simple costume using one black beanie cap, oak tag, paper plates, foam pieces, one fine tip black sharpie and some elastic. 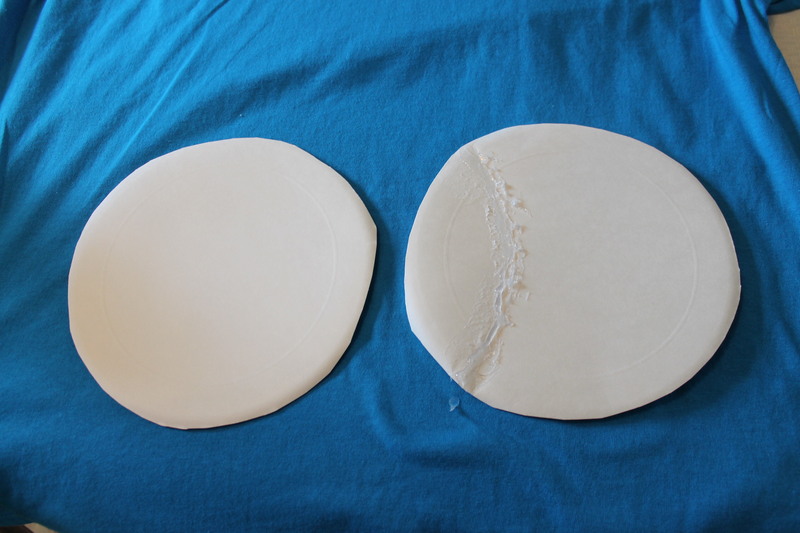 Cut out the eyes by using the smaller circles of the bottom of the plate. 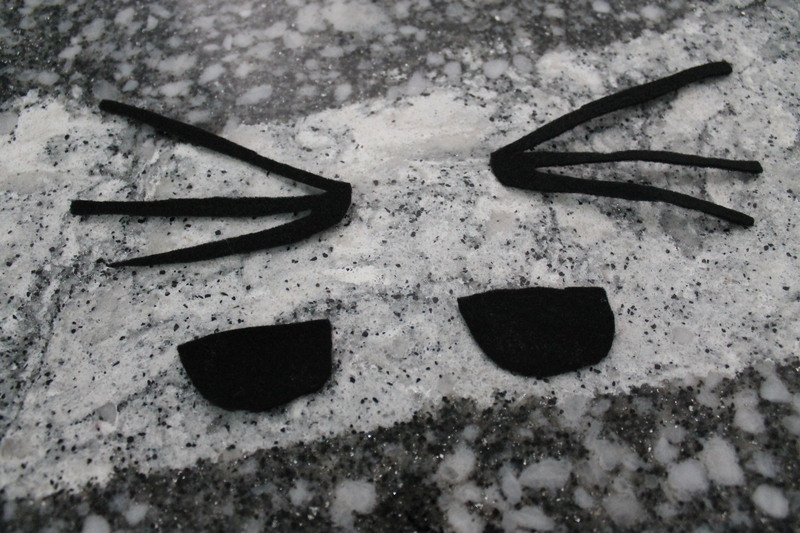 Cut out the 2 eyelashes with black foam and the two centers of the eyes with the black foam. 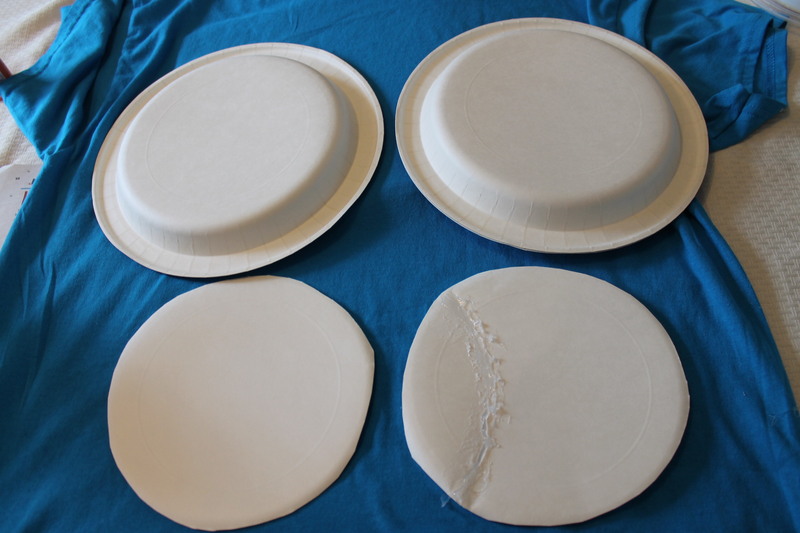 Have an adult hot glue the pieces to the paper plate. Make sure the eyelashes are attached to the back of the plate. 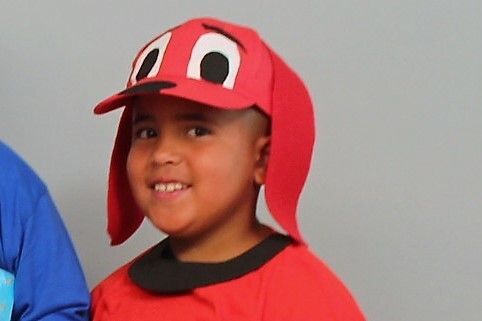 You can hot glue the eyes to the beanie cap. 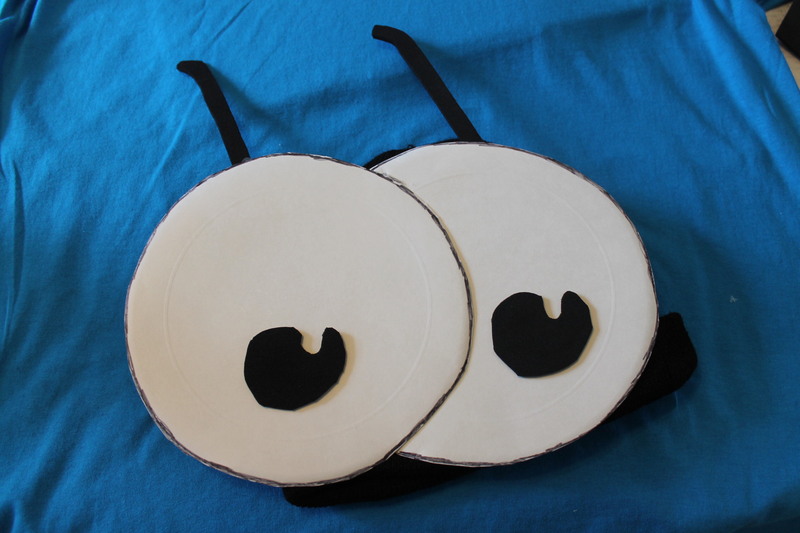 And the eyes of Fly Guy are complete. Make sure the hot glue dries and cools completely before placing it on your head or your child’s head. 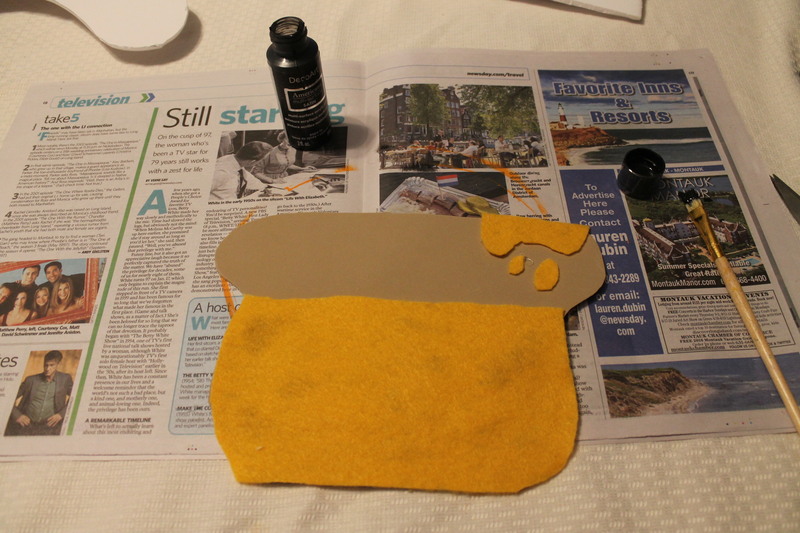 The material will be very hot till it dries. For the wings, I cut the shape of the wings on one large piece of oak tag. 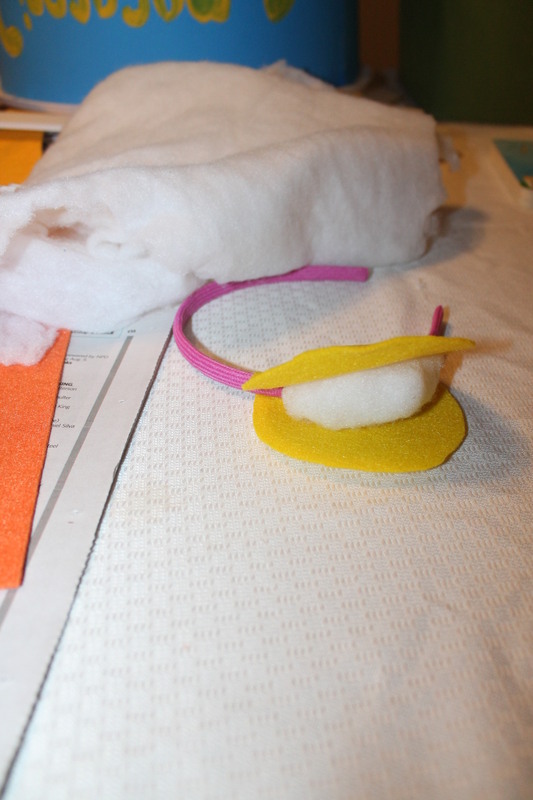 I then looped the elastic piece through the center so your child can put it on like they would a backpack. To enforce the elastic to stay in one place , I cut out a circle and hot glued it to the back over the elastic. 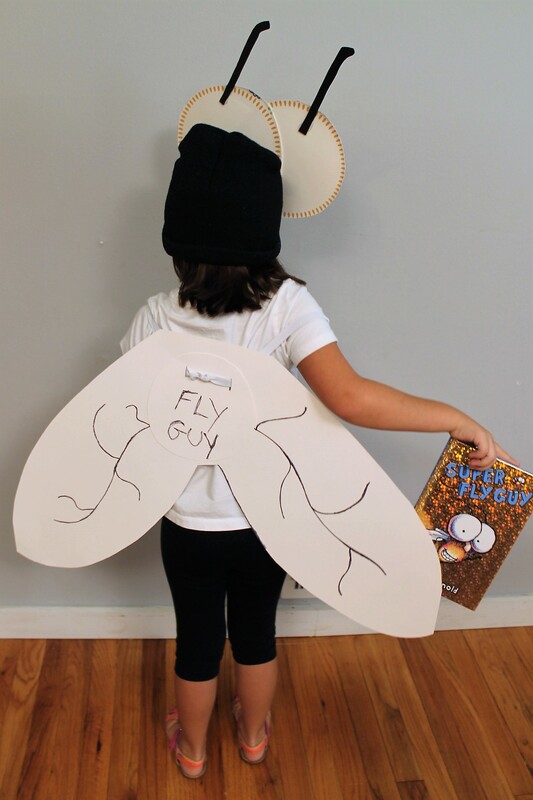 I then wrote, Fly Guy on the small circle in the black Sharpie and add the lines on the wings. That is it, very simple! And I think it looks adorable. 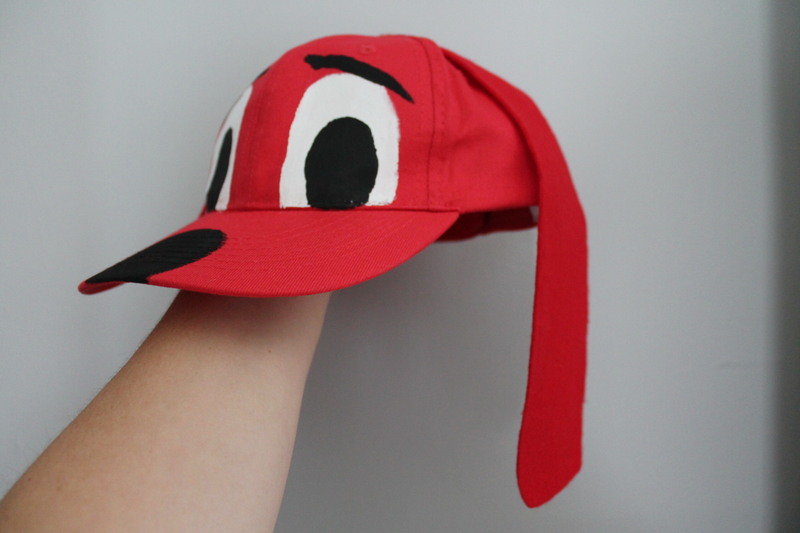 All you need is a red hat, an oversized red shirt, black foam, black acrylic paint, white acrylic paint and red felt. 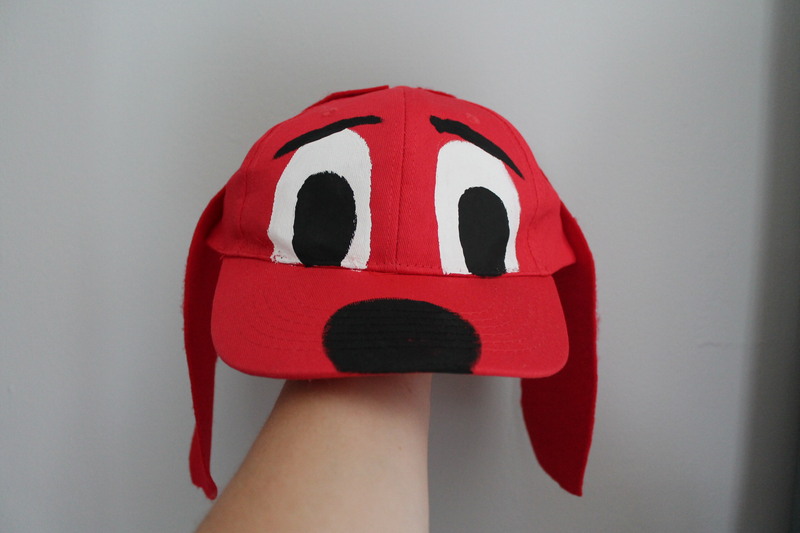 With your white and black acrylic paint , paint the eyes and nose and eyebrows onto the hat. 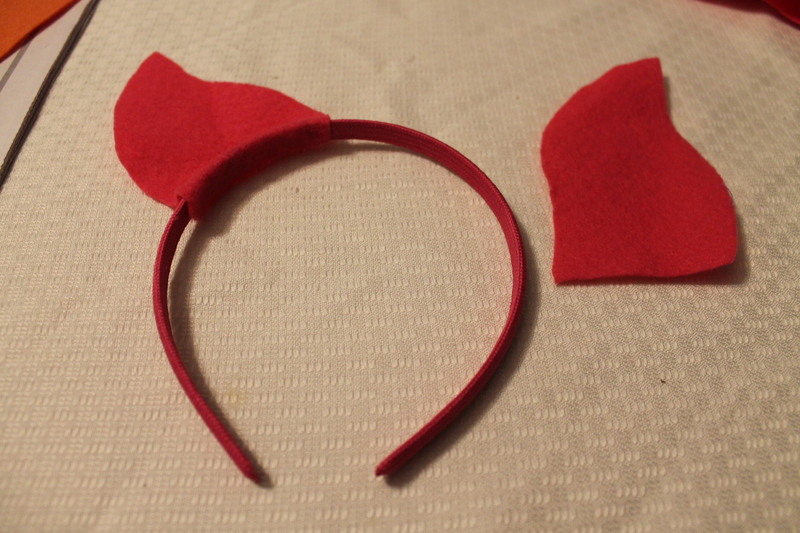 Once dry then hot glue two long ears made out of red felt onto each side of the hat. On your plain red shirt cut a collar out of black foam and safety pin it to the top collar of the shirt. 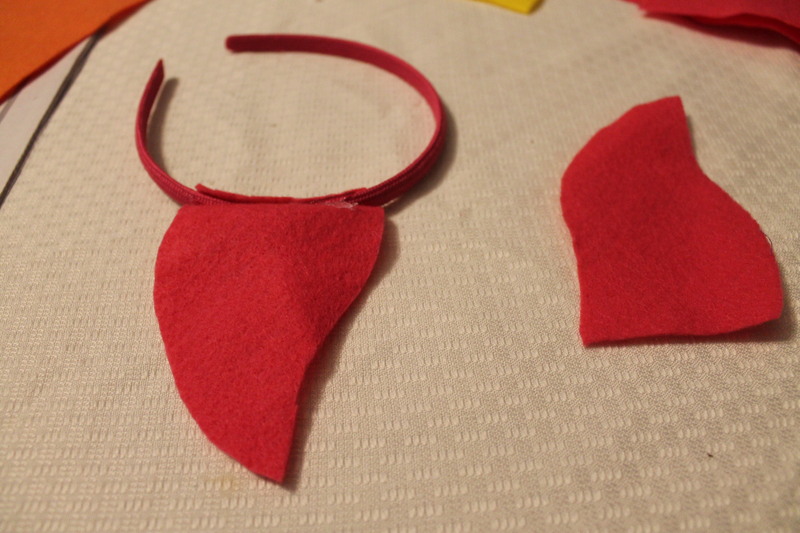 I say, safety pin it instead of hot glue so you don’t ruin the red shirt and can use it again. Pete is one cool cat! 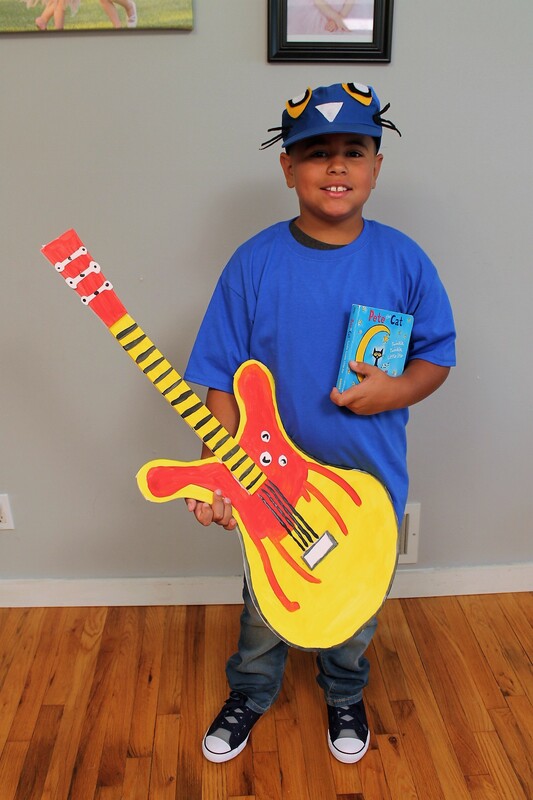 All you need is an oversized blue shirt, blue hat, felt and a piece of foam board and acrylic paints (red, yellow and black to create this fun costume. 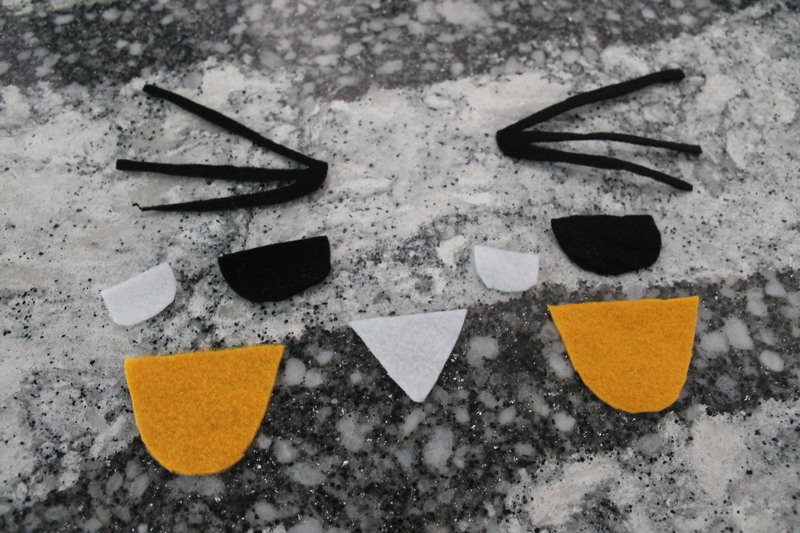 First, cut pieces out of felt for Pete’s face that we will hot glue onto the hat. 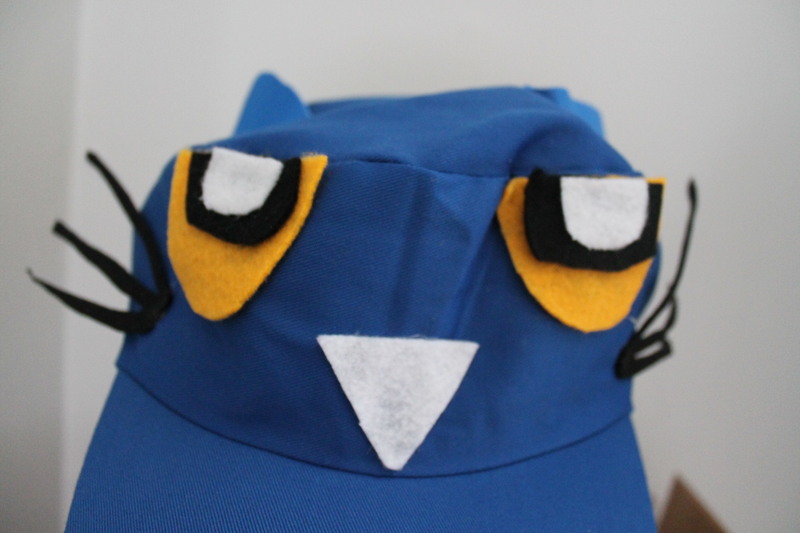 Have an adult hot glue the pieces onto the hat. Be aware that the pieces will be hot once you hot glue so please do not place on a child’s head or your own until it is fully dry and has cooled down. 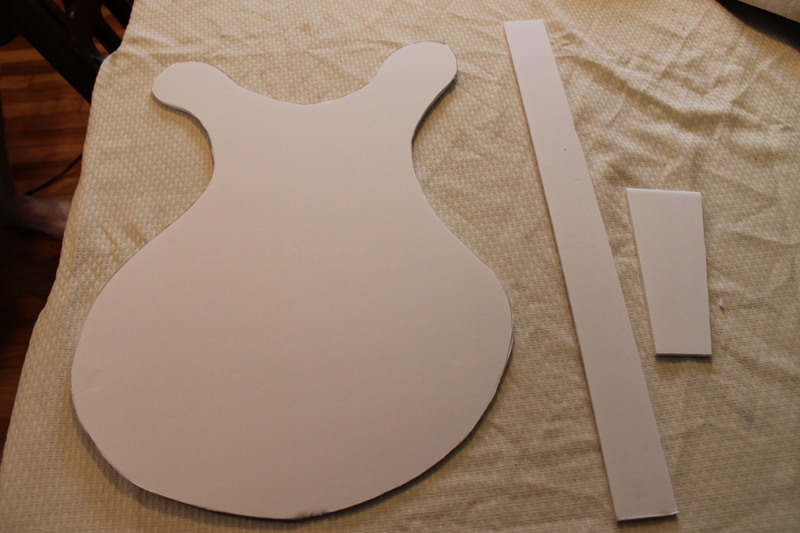 Attach the pieces together with hot glue and then paint, accordingly. 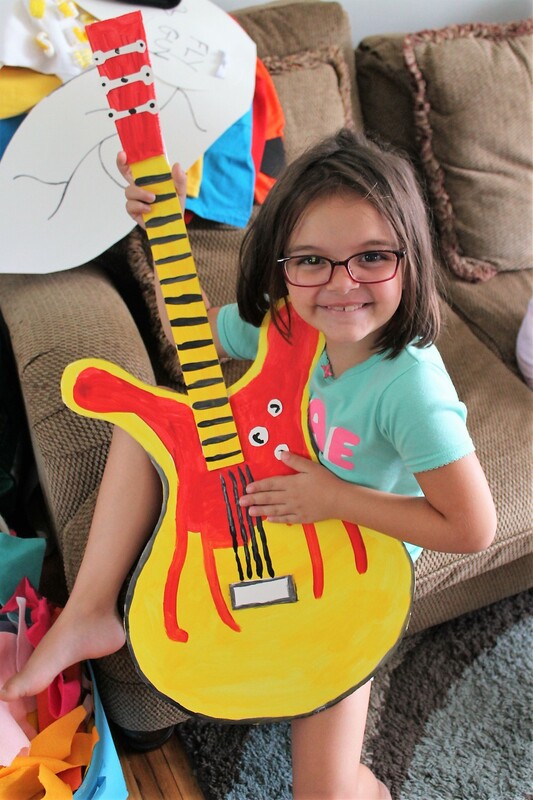 I painted using red, yellow, and black just like Pete’s guitar. 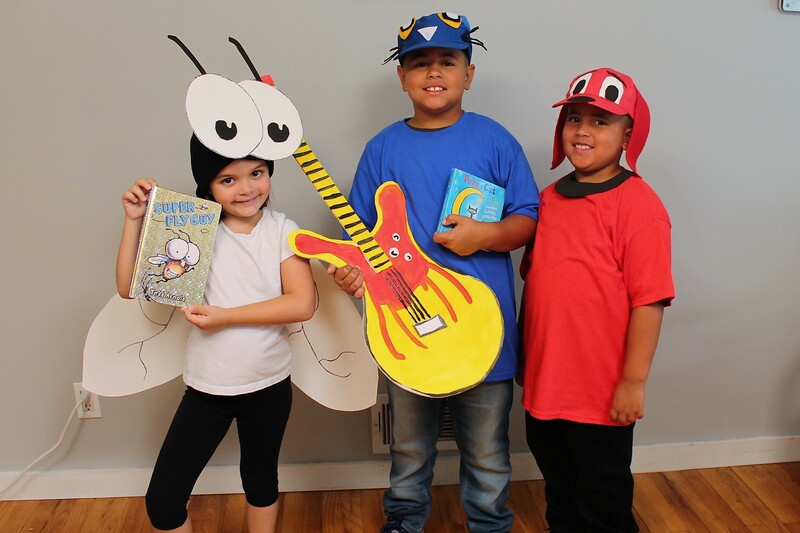 These are great costumes to hold onto because you never know when your child may do a story theme at school for school spirit week and these are easy costumes to make. 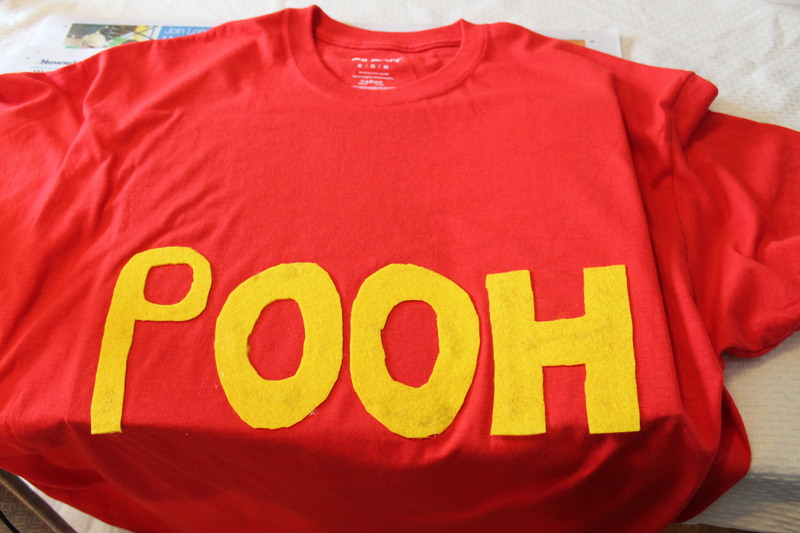 We all love the characters who reside in the Hundred Acre Woods, don’t we? 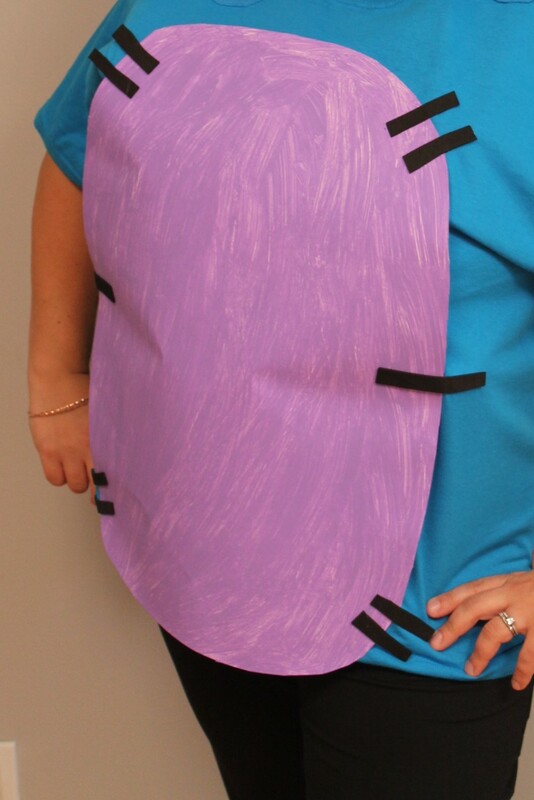 A great costume idea is being Winnie the Pooh, Tigger, Eeyore and Piglet, too. I love that all of these costumes are made using colored t-shirts and headbands and felt. Pooh Bear loves his hunny so we decided to add a felt hungry pot in case you get a “rumbly in your tumbly” as you are trick or treating. 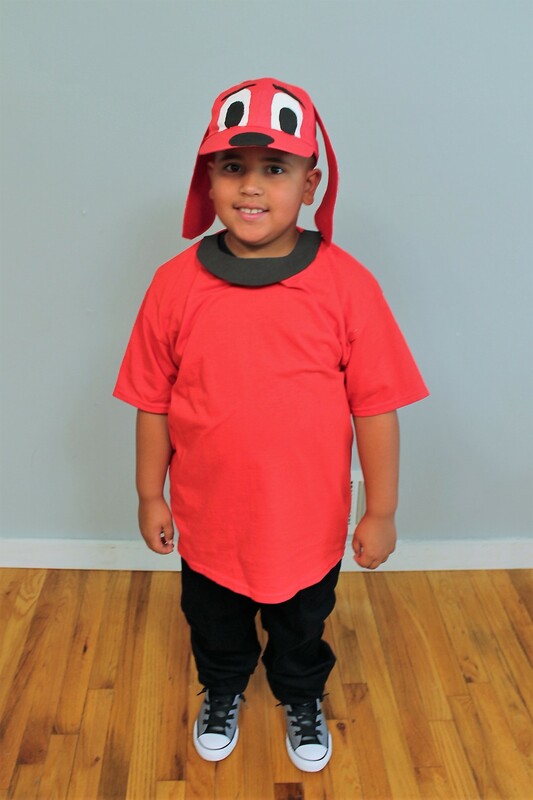 All you need is a red shirt and some yellow felt, headband, stuffing, tan card stock, and black acrylic paint to create this costume. 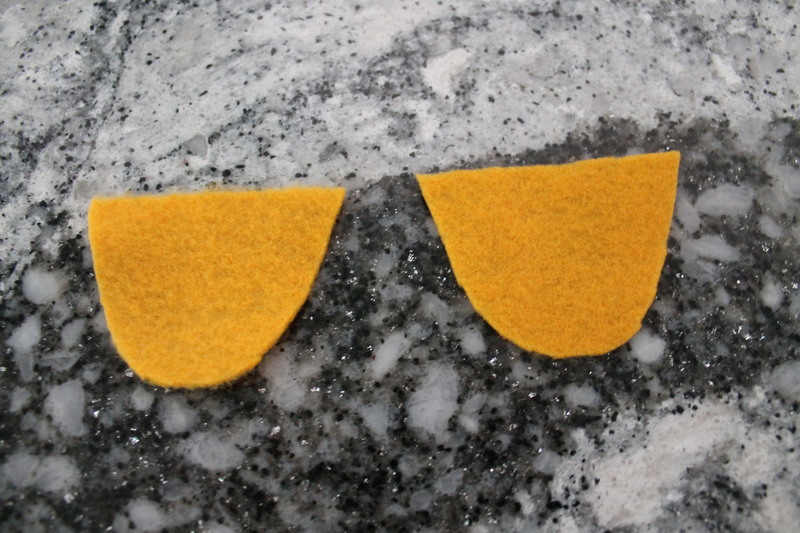 Cut out large letters to spell out P-O-O-H with your yellow felt. 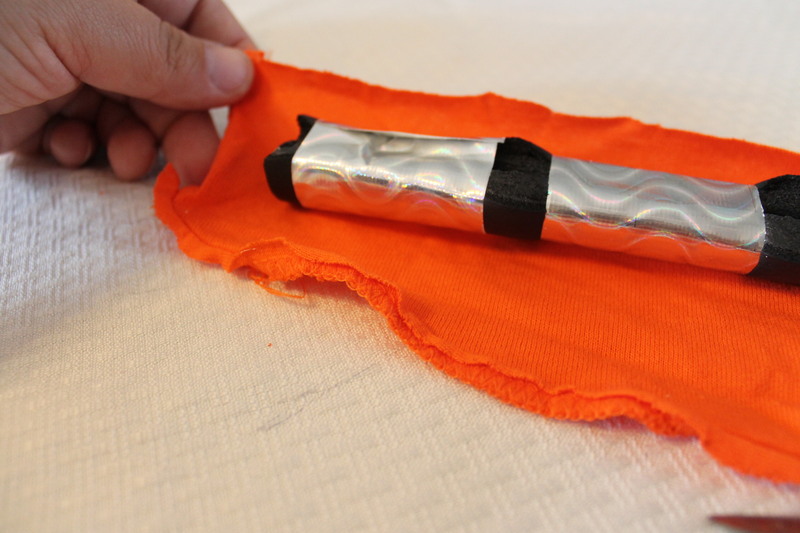 Have an adult hot glue them to your red shirt and it is that simple! 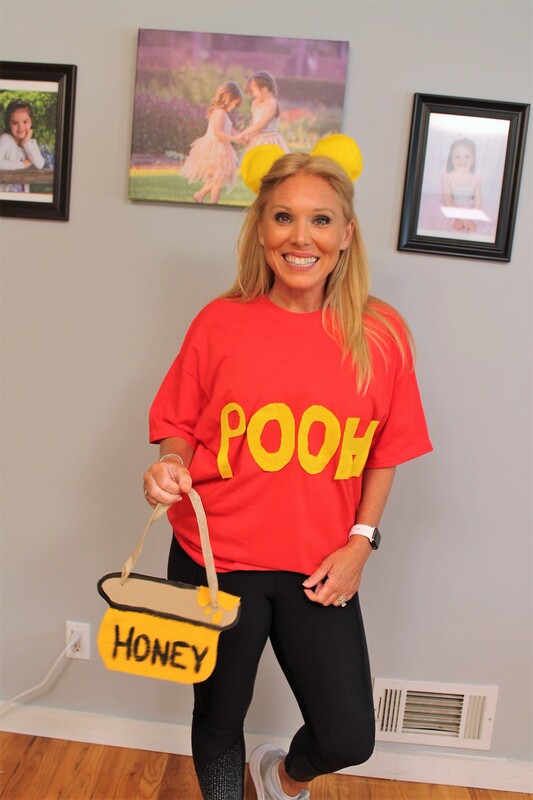 Now, Pooh would not be complete without his hunny pot filled with hunny. 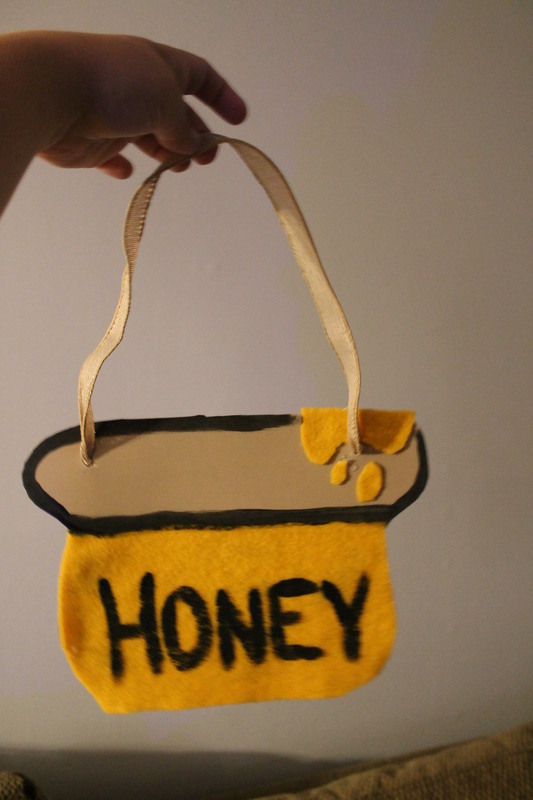 I decided to cut the shape of a hunny pot out of tan cardstock and glue yellow felt onto the front. 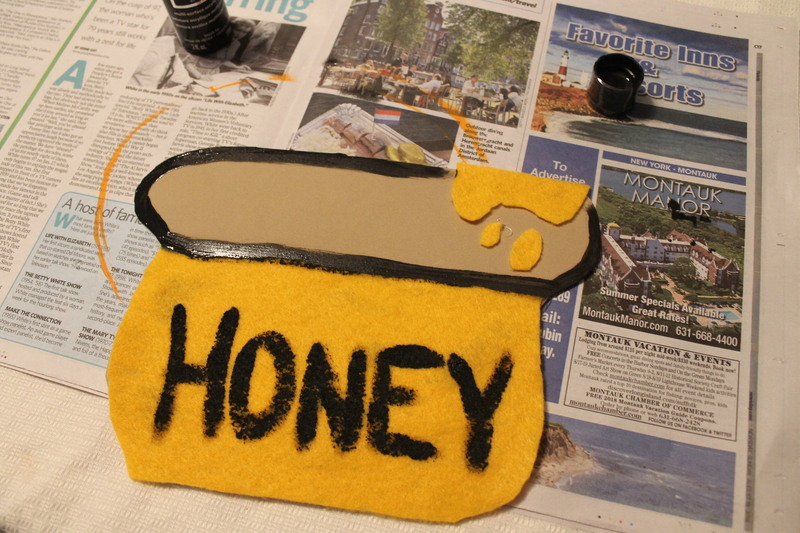 I added some yellow felt hunny drips to the top and then accented it with black paint and wrote HONEY in big bold letters. I tied a ribbon to the top so it can be carried easily. 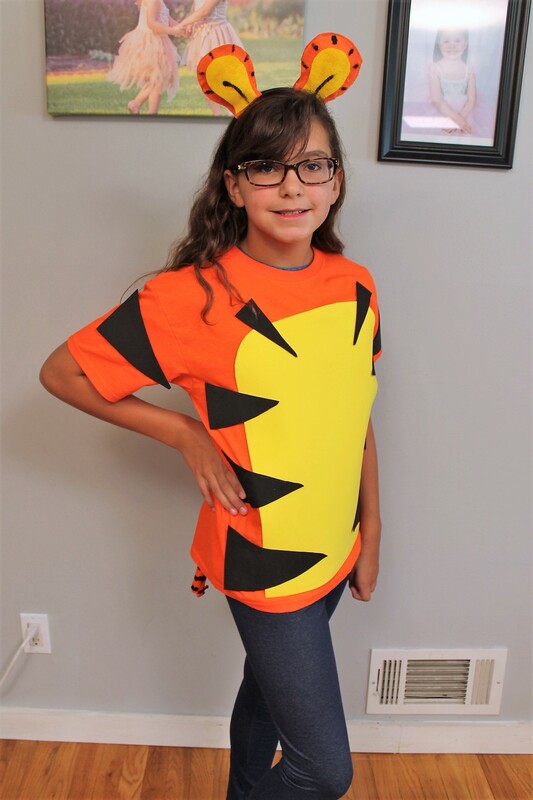 For this costume you need an oversized bright orange shirt, a large yellow foam piece, black foam pieces, orange felt, yellow felt and black acrylic paint. 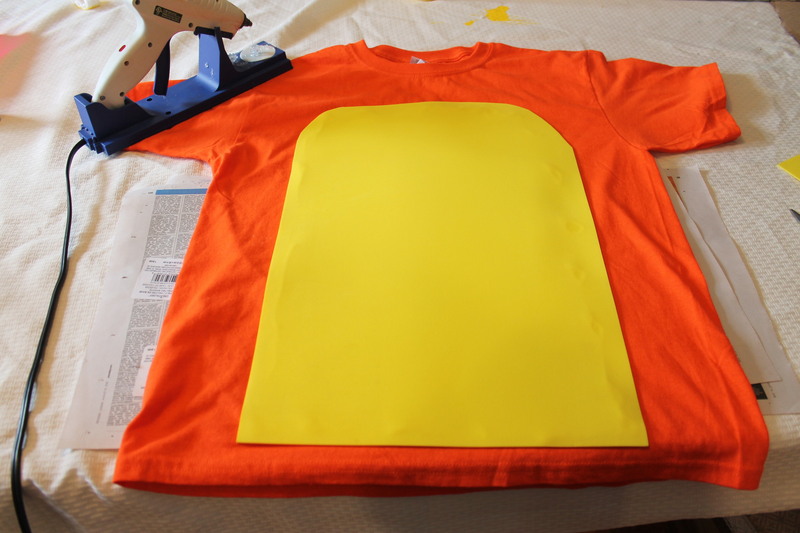 Lay your shirt out and cut out a large yellow tummy for the shirt and have an adult hot glue it to the front of the shirt. 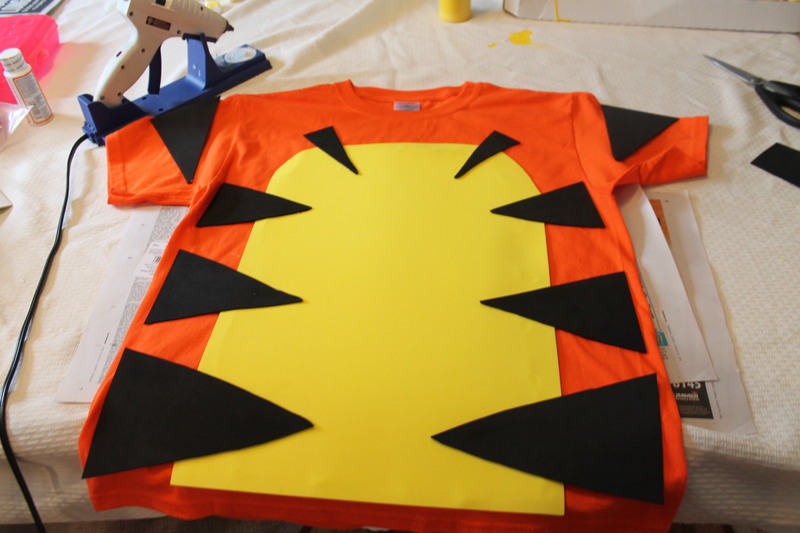 Then, cut out Tigger’s stripes (in more of a triangle shape (as seen in the picture below) making them thin and small toward the top and thicker and larger as you head to the bottom of the shirt. Have an adult hot glue those down, as well. Please don’t have someone put it on till the shirt is fully dry and has cooled down. 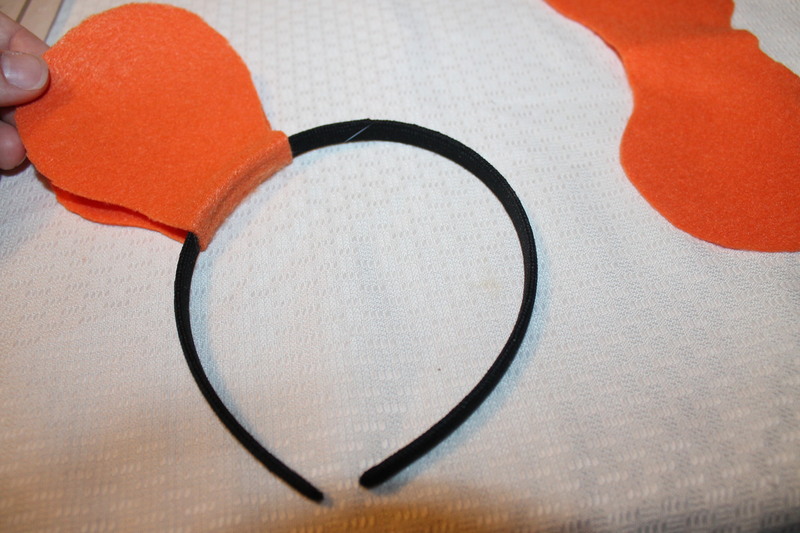 Now, for Tigger’s ears, you will need orange felt, stuffing and a headband. 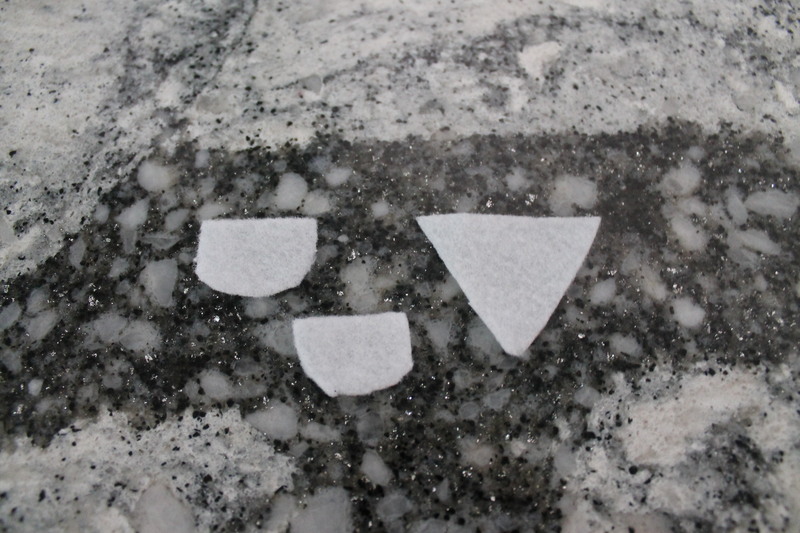 Cut a double circle shape that has a thinner middle that when you fold it in half you will see how cute the ears look just like the shape of his ears. 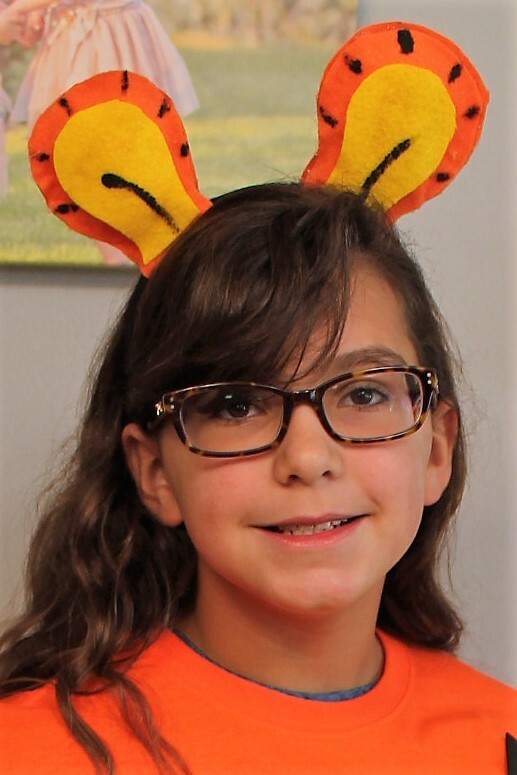 Wrap the felt around the head band and add a little stuffing and hot glue the outer part and pinch the outer pieces of the felt together to create Tigger’s ears. 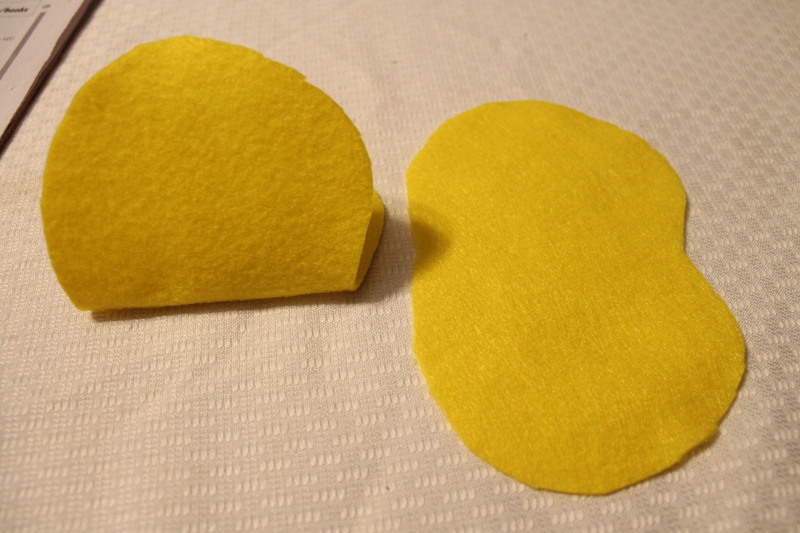 Add yellow Felt to the center of the ear. 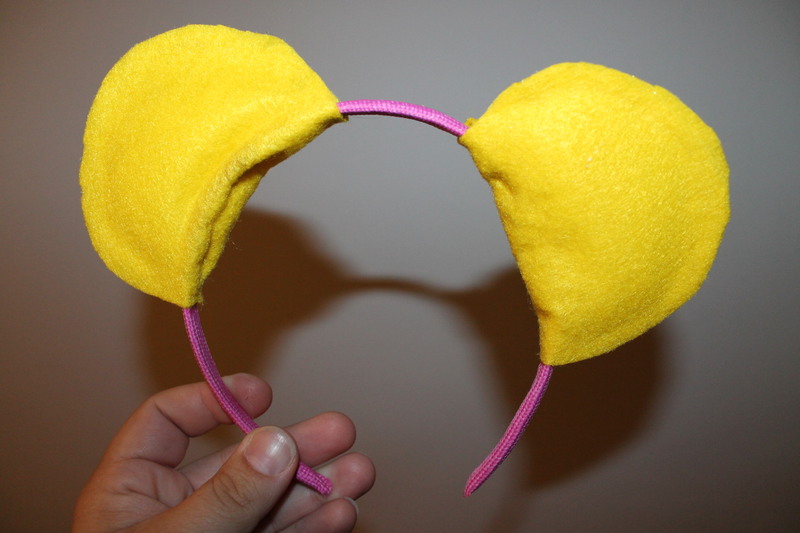 Then, paint black accents on the ears (pictures for reference seen below). 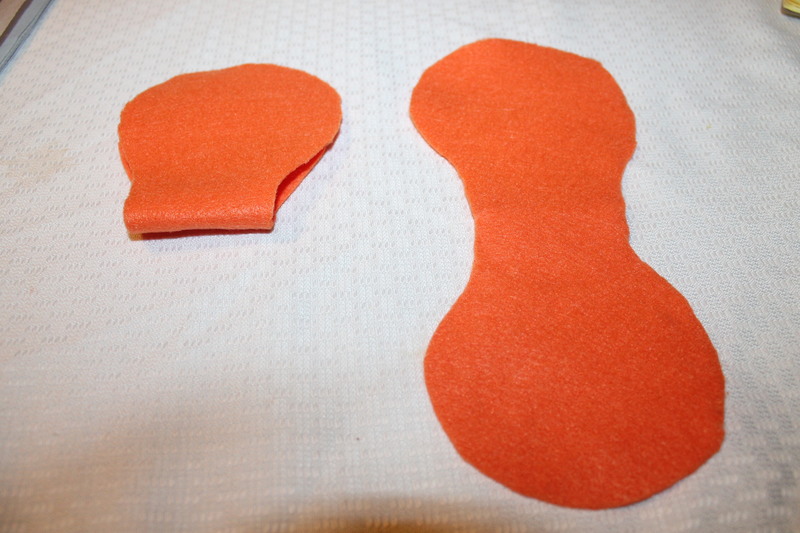 For Tigger’s Tail you will just roll a large piece of foam board to create the shape of a long tail. 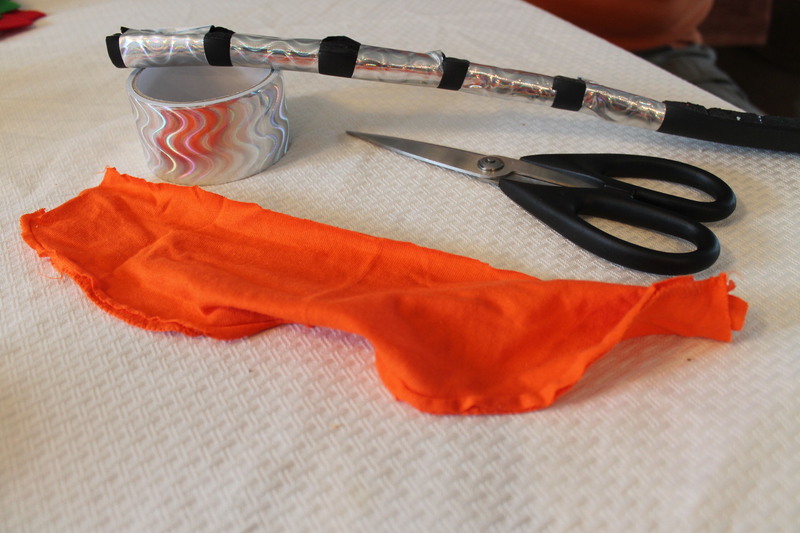 Duct tape it along the tail to keep the shape of the tail. 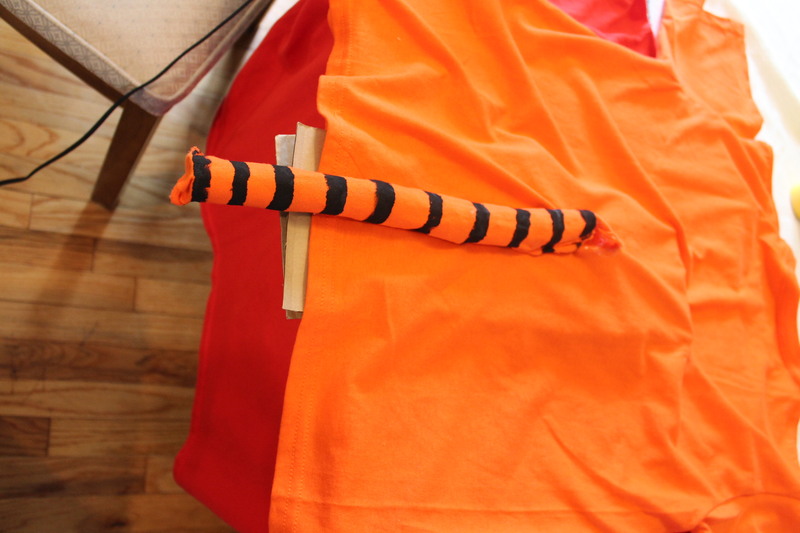 Then wrap the same color orange t-shirt material around the tail and hot glue it to the foam shaped tail. (I always save scraps from t-shirts from previous costumes so I had the extra t-shirt material. You may have to purchase an additional short for this step. You can make the tail even longer if you like. I think I would make it longer next time. Let’s be honest Tigger needs to be able to bounce from his springy tail from one place to another on it. For the finishing touch I just painted black stripes along the tail. 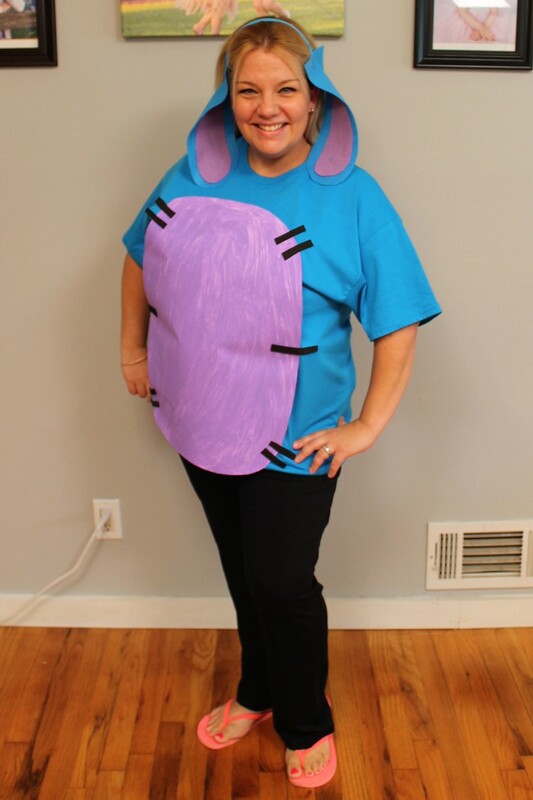 Eeyore does not have to be sad with this DIY costume because he has not lost his tail! All you need is an oversized blue shirt, oak tag, black foam, blue felt (to match your shirt) , light purple felt, light pink felt and black felt and light purple acrylic paint. 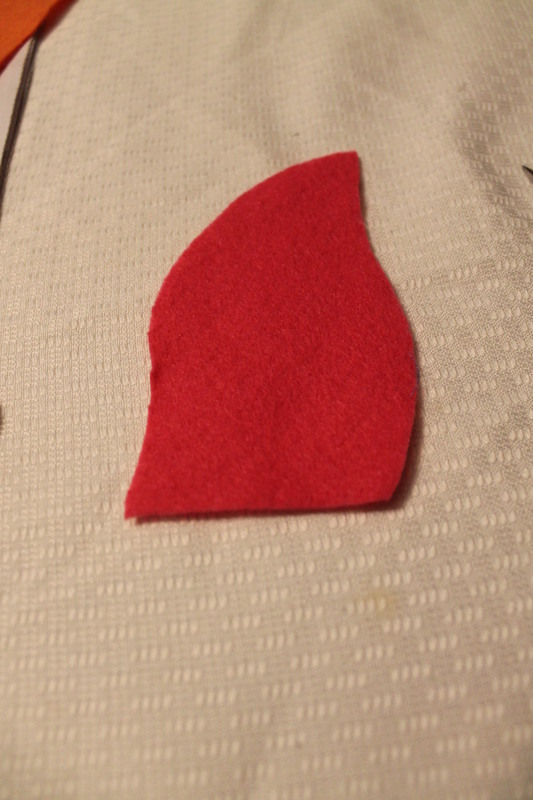 Cut out the long ears for Eeyore with light blue felt and a shorter light purple felt piece. 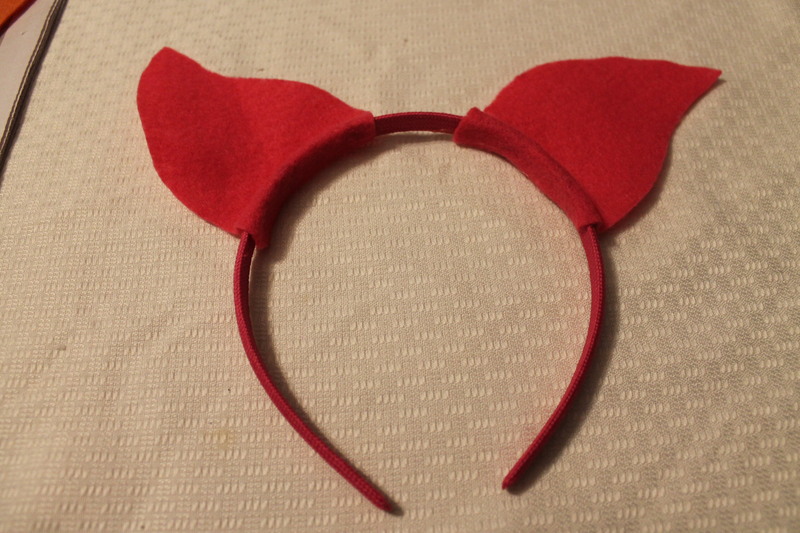 Hot glue them together and then attach to the blue headband. Make sure the ears hang low like a donkey. For the shirt, just cut out a large piece of oak tag to place on the front of the shirt. Paint it light purple and wait for it to dry then have an adult hot glue it to the front of the shirt. 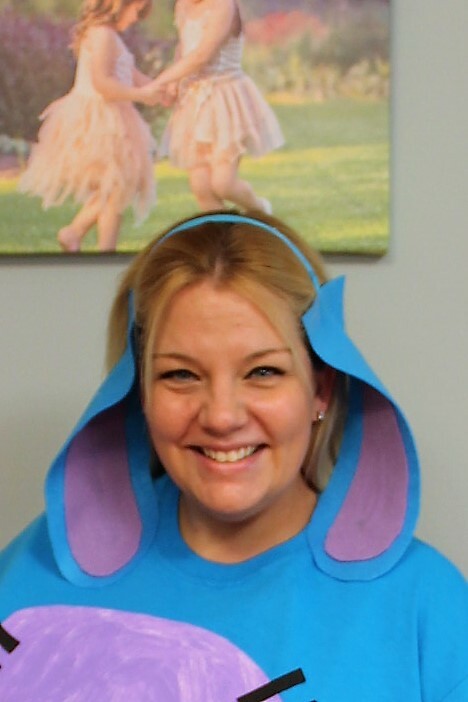 Add some black stripes of foam for some fun accents and your Eeyore short is complete. 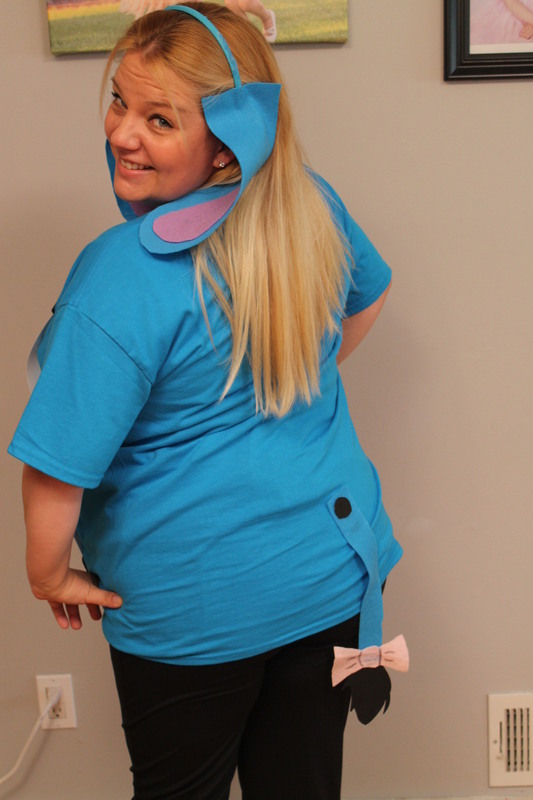 We can not forget about Eeyore’s tail. 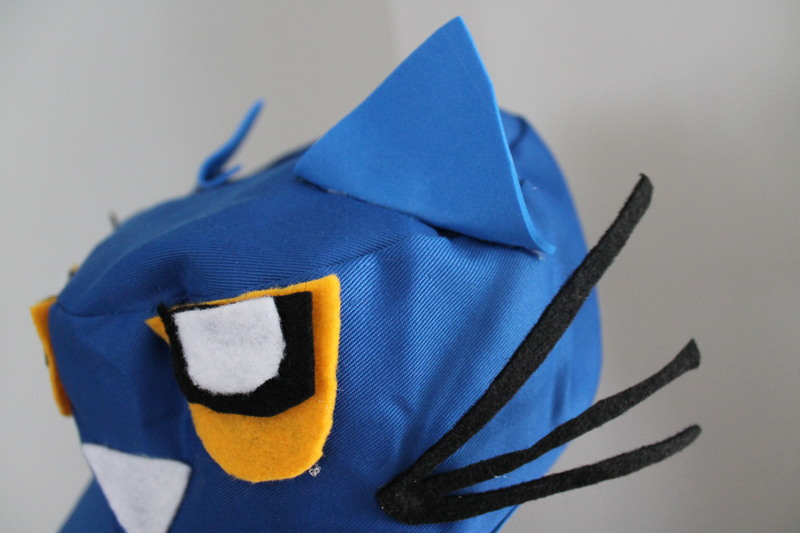 Create his tail with the same color blue felt you used for the ears. 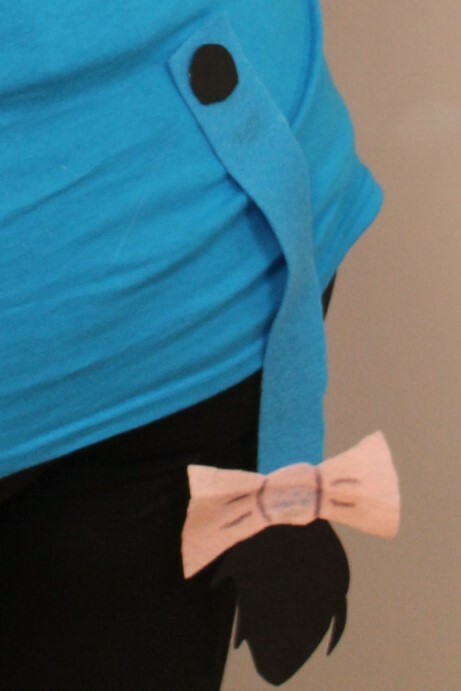 Add a black piece of felt for the bottom of the tail and a light pink bow for an adorable Eeyore tail that you should hot glue if you don’t want to lose your tail. 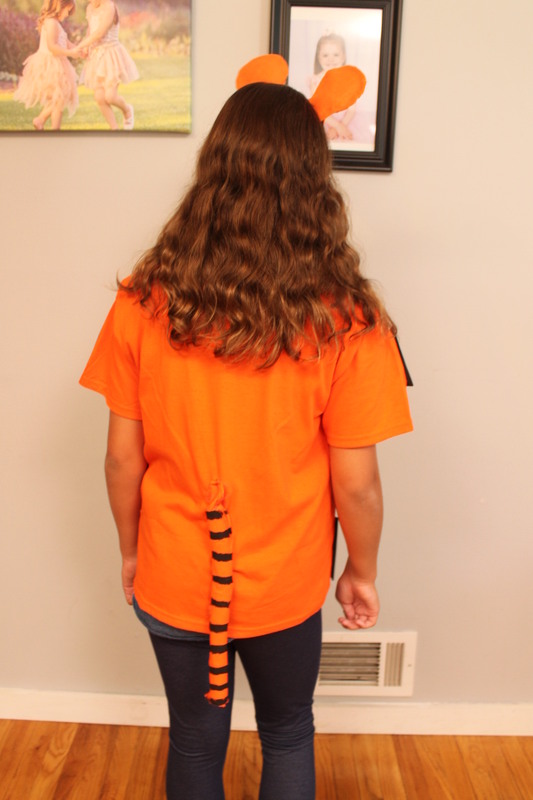 But, for even more fun attach it to the shirt with Velcro so that the tail can be stolen by friends and family at your Halloween party and then you will have to locate your tail. But, don’t be sad Eeyore, you will find your tail. Awe, little Piglet. 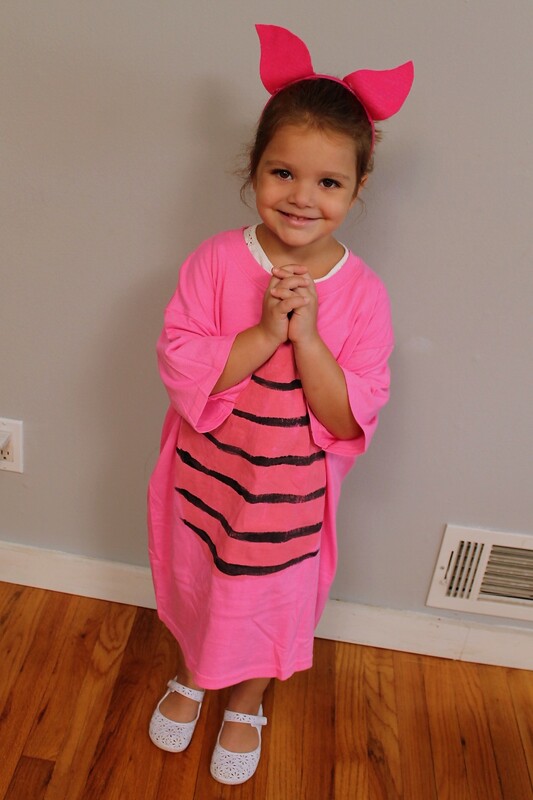 All you need is an oversized pink shirt, a darker shade of pink acrylic paint, black acrylic paint, one headband and pink felt (to match your shirt). 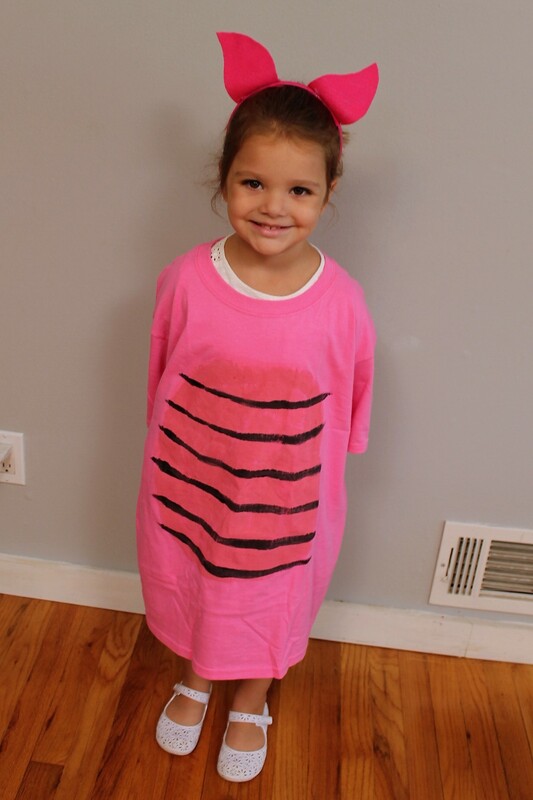 Paint the belly of the shirt onto the pink t-shirt. Be sure to put a piece of cardboard between the shirt so you don’t have the paint leak onto the back of the shirt. You need a large dark pink belly and black stripes within for a Piglet tummy. 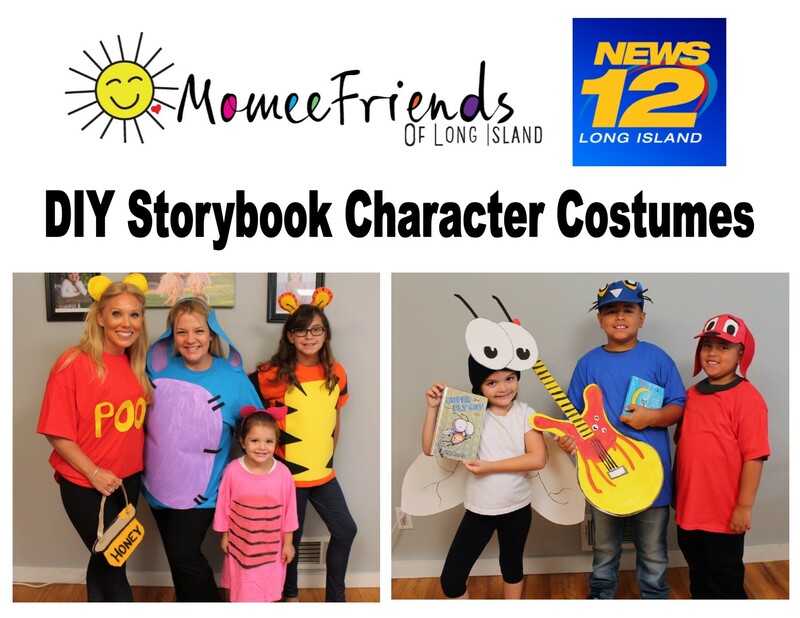 Please tune into News 12 Long Island this morning for some fun DIY Costume ideas with one of our favorite local Momees, Elizabeth Hashagen. 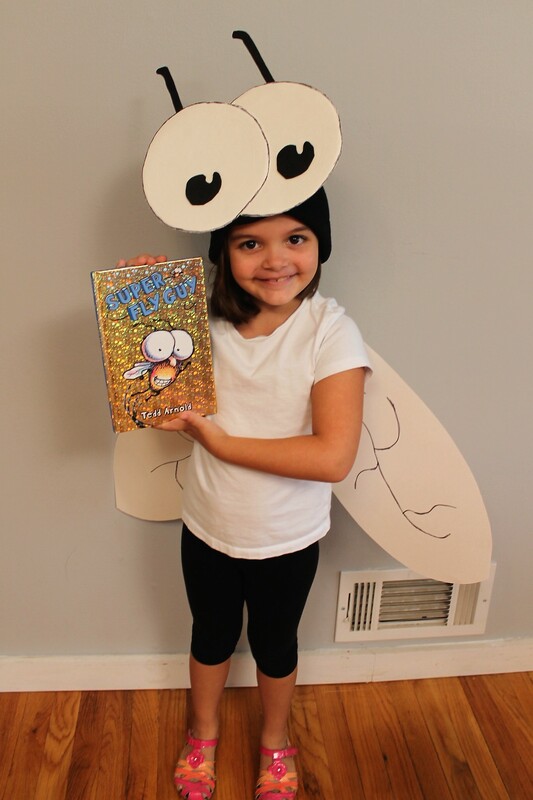 Why spend a lot of money on a costume when you can create a costume for little money, yourself. Which one is your favorite we would love to hear your input!